MJS – Easy Metal Guitar – Heavy Metal Guitar Lessons For Beginner To Intermediate. If you want to learn to play Heavy Metal Guitar, look no further –You have found the ultimate course with Easy Metal Guitar DVD! 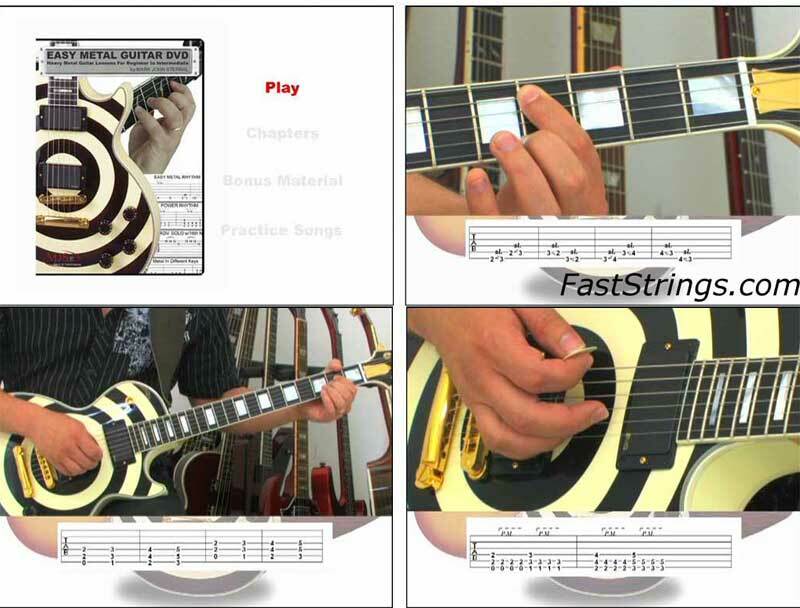 Expert guitar instructor Mark John Sternal starts you out with simple power chords, riffs, tricks and techniques that form the backbone of Heavy Metal Guitar Playing. Each lesson is introduced with thorough and descriptive instructions, followed by a slowed-down practice section which will insure that anyone, at any level, can play each exercise. These exercises are later combined to form complete Metal Songs. Each Metal Song and Metal Solo is presented at a slow, medium and fast tempo, allowing you to play along and build up your Metal Guitar Chops! LEVELS: Easy, 1 Finger Metal, 2 Finger Metal 3 Finger Metal… You ll be using all 4 fingers in record time, playing at blistering fast tempos! Beats Per Minute (BPM) range from 50 BPM practice tempos –and progressively increase to High Speed Metal at 200 BPM! @code64 If you are 12 years old. No excuse for saying that if you are older.